The federal Green Party leader sat down with The Early Edition's Stephen Quinn to discuss pipeline politics and why Canada needs to work harder to reduce its carbon footprint. 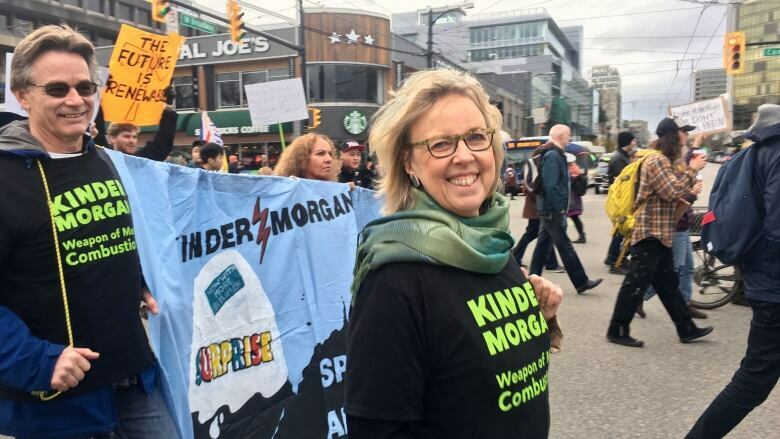 Thousands of people in Burnaby marched in protest last weekend against the Kinder Morgan Trans Mountain pipeline expansion — among them the Green Party's federal leader. Elizabeth May sat down with The Early Edition's Stephen Quinn to discuss pipeline politics and why Canada needs to work harder to reduce its carbon footprint. Is it not a fair tradeoff if you have this array of pipeline projects [including the unapproved Energy East and Northern Gateway] — and the Prime Minister says it's in the national interest to get that oil from Alberta to tide water — to approve at least one of them? It's a fair point, if it was in the national interest. The National Energy Board said this was in the public interest and it gets parroted by everybody. They throw out extraordinary job creation numbers, while missing the reality that UNIFOR, the major union for oil sands workers, opposed the KM pipeline expansion, just as they opposed Keystone. That's because shipping out raw bitumen in pipelines is shipping out Canadian jobs. We should have a solution that satisfies the economic needs of Alberta and the needs of B.C. We shouldn't be pitting one province against another. The solution is to talk about processing this solid substance bitumen in Alberta for a market that's called Canada. We do export most of what gets produced out of the oil sands. It's not locked up there waiting for pipeline approval. There are lots of pipelines already. But bitumen mixed with diluent is a particularly dangerous substance and can't be cleaned up. John Horgan is absolutely right that that needs to be studied before we accept it crossing 800 different water courses from the Alberta and B.C. border before it gets to Burnaby and threatens the Salish Sea with a spill. Alberta Premier Rachel Notley has suggested her province could cut off oil shipments to B.C. if the pipeline is delayed. What do you make of that? 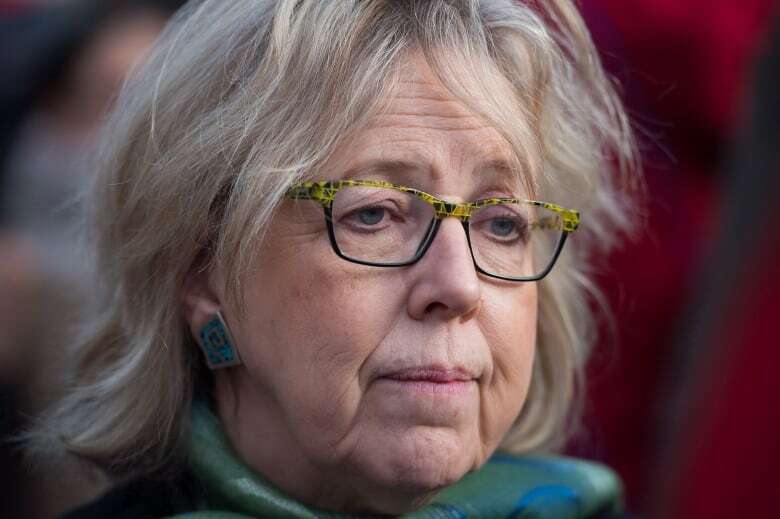 She seems to have decided that her domestic political future lies in being more like Ralph Klein than Ralph Klein. I would urge Rachel Notley to be more like Peter Lougheed. Lougheed had a sensible plan for the oil sands, which involved ancillary infrastructure like upgraders and refineries. His No. 1 rule for developing the oil sands to was think like an owner. If you're an owner of the resource, you don't ship it out raw and bypass all the jobs you would be creating. And you don't create this incredibly petulant trade war with a neighbour. But Lougheed opposed the Canada energy program and threatened virtually the same thing. He was going to turn off the taps. Different times and different powers. The reality is that Rachel Notley's adherence to pipelines and exporting raw bitumen doesn't make sense for Alberta's economy and it doesn't make sense for Canada. How do you convince Albertans that exporting bitumen is not in their best interest? 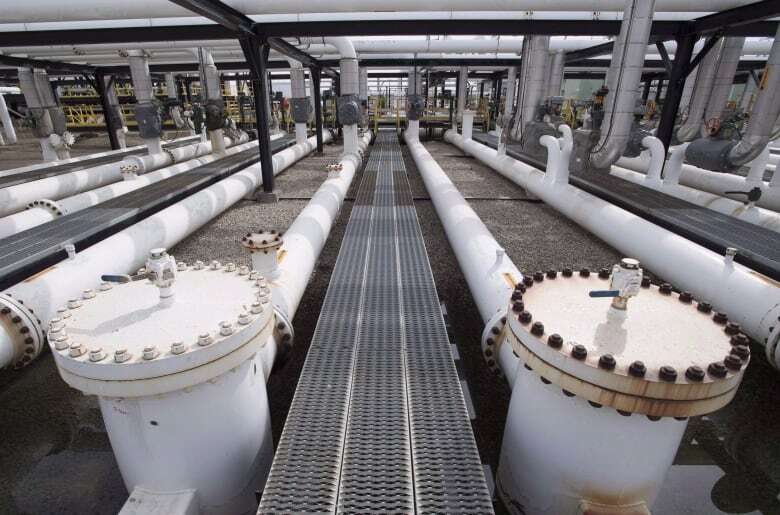 The evidence from UNIFOR that Kinder Morgan threatened Canadian jobs was rejected by the National Energy Board because the board said it wasn't in their jurisdiction to study the jobs impact. That should have been gobsmacking news. How are there more jobs if we're not building Kinder Morgan? The jobs in building, according to Kinder Morgan's own evidence, is 2,500 jobs a year for two years. And then it's 90 permanent jobs. Whereas if you build upgraders and refineries in Alberta, you have a workforce with good union wages and steady, long-term form. You're still processing bitumen, you're still going to burn it. What happens to the [climate] targets? We have to be much bolder. If we're serious about our kids having a livable world, building fossil fuel infrastructure in 2018 is a sign of deep negligence, which is the kindest thing I can say about it. If you're serious about climate targets, you don't build and expand the oil sands and move from coal-fired electricity to inefficient fracked gas. This interview aired on The Early Edition on March 13 and has been edited and clarified. Listen below to the full interview.